For the latest installment of Forward Together’s project, four transgender and gender-nonconforming artists of color created beautiful testaments to their community’s strength and self-reliance. Transgender people of color and allies mourn community members lost to transphobic violence on the 19th annual Transgender Day of Remembrance today (November 20). Forward Together builds on today’s premise with the sixth iteration of Trans Day of Resilience. 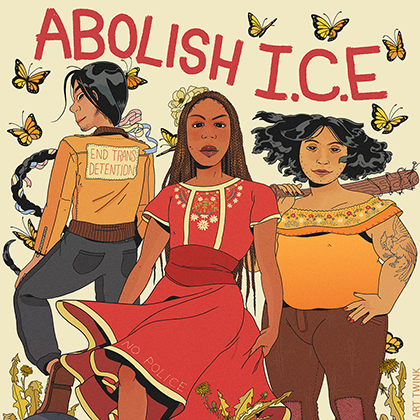 The yearly campaign partners trans and gender-nonconforming (GNC) artists of color with social justice organizations to illustrate their visions of liberation and power for their communities. 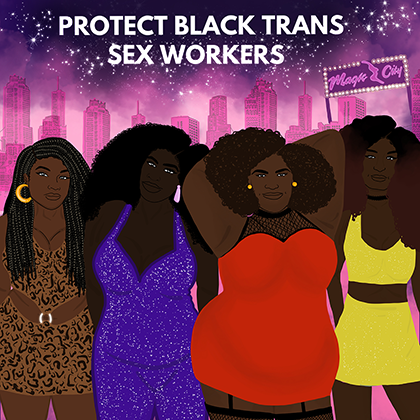 According to a description on its website, Trans Day of Resilience aims not to replace what it calls “a sacred day to remember those killed by anti-trans violence,” but to additionally celebrate those community members of color who survive in the face of ongoing attacks against them. “We are our biggest supporters. Our connections to each other can begin before the march and be maintained far after. As queer and transgender people, it is truly our duty to find it in our hearts to aid in our overall resilience. There are so many ways to love one another in between visits to the frontlines.” —Asia-Vinae Jazzreal Palmer on “Trans AF, Queer AF & Here AF,” created in collaboration with BreakOUT! Download all the works at TDOR.co.